The Polaris Global community is pretty special. The support, positivity and gratitude are infectious and go hand-in-hand with the philosophies of Beyond Freedom Evolution success education program. One of the biggest lessons in BFE is the importance of change and action. Everyone reacts differently to change. For some it’s fearful, to others it’s exciting! But with the Polaris community behind you, it’s so much easier to get through whatever change comes your way. Regardless of your initial feelings towards change, the most important BFE view is opportunity and growth is on the other side. Sometimes though, we have to fall in order to learn a lesson. Yes, it can be disheartening, and sometimes quite painful. But if you keep your BFE mindset, implement an action plan; it gives you every chance to get through it. In conversations with Shane and Rachel Krider, Co-Founders of Polaris Global, they explained this concept quite beautifully. Our individual evolution is an organic process; the whole point of it is the journey. When we shortcut the course of action, lose focus or listen to those pesky Stoppers, our wheels end up spinning. We don’t get anywhere. So as BFE students know, with each fall, there is a win! You just have to look for it. I love being involved with a group of people who see the silver lining in every situation, who learn from every opportunity and use it to gain strength, motivation and action into success. High five BFEers! You rock. There is a great tool that I use in my coaching called TEFCAS, Trial Event Feedback Adjust Success! Basically, in everything you do, everything, there is a level of success. We can learn from the experience in both positive and negative feedback, check that feedback and adjust our actions and, even we we fall short of our initial goal, we wiser people when repeat the exercise. So that you can act as if you can’t fail. Instead of trial and error, why not trial and success? It show mistakes up for what they are, learning tools. There is no community like the Polaris community, caring but purposeful, fun but active. Fear of changing who I have to be has held me back for a long time. Going on 2 years with BFE and our community and there is no other place I’d rather be, Amy! Great post Amy, oops, I timed out on my recent post so here goes again. 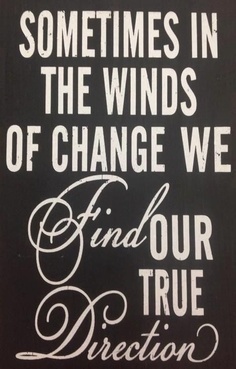 Change – sometimes exciting, sometimes confronting – ALWAYS life enriching when I keep my North Star envisioned. BFE is my anchor and compass, Huge appreciation to the Polarian community – such a source of inspiration, encouragement, wisdom love, compassion and GOOD times. Abundance and Happiness to all. Being scared to fail has been a big obstacle for me. Its easy to say things you will do, especially when it comes to changing yourself for a different result. The BFE has helped me get a better understanding of this common obstacle most people face. Getting involved with the community and the product, i have more belief in my self now. I will continue to use the program for the rest of my life. Great post Amy! Change can be scary, but when it’s coupled with action and the right attitude, anything is possible! Very poignant Amy, the fear of change and the fear of failure stops many people from ever fully experiencing life. I’ve been failing forward in pursuit of my dreams for quite some time now. I know for sure that since becoming an independent distributor with Polaris Global and following the BFE curriculum, along with my refusal to quit, I am destain to be a winner in the game of live.